We currently offer two air filtration systems for removing smoke, particulate, fumes and odor from either plumbed in exhaust ductwork or as a mobile point of source capture. These can be used for plastics extrusion and injection molding operations and maintenance in addition to welding applications where these is a need to create a safer work environment. 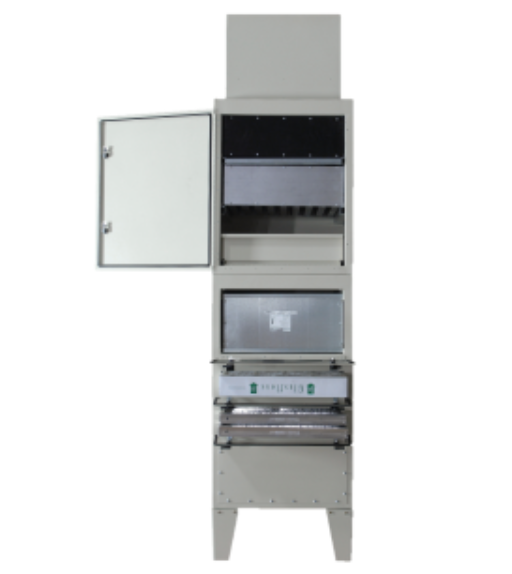 The model M66V can be used to remove particulate when used in conjunction with our cyclone for other Fluidized Temperature Bath applications such as heat treatment and medical device shape setting to maintain a cleaner work environment. Model M66V is a mobile utility unit on 4 castor wheels that rolls into place for source capture of smoke and fumes and is a good choice for a wide range of applications. It includes a 2000CFM blower and is ready to be used straight out of the box. 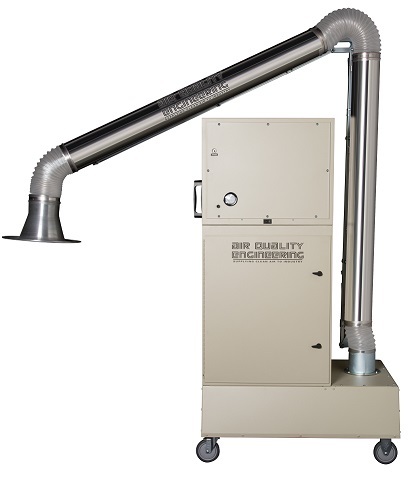 Model DCS2500 is a stationary system for moderate to heavy duty smoke and fume applications. It requires a separate 1000 CFM exhaust blower for capturing smoke and fumes. This system contains a 99.99% HEPA filter and 90 pounds of activated carbon for removing fumes and VOC’s.